Drawing on California's history of inspiration and opportunity, CALPELRA's Annual Conference in Monterey this November will provide deep and rich insight and wisdom to California's public sector labor and employment professionals. Join us as we explore California's uniquely rugged labor and employment landscape. Together we will learn, discover, and develop strategies for improving our professional skills and flourishing in this beautiful state we call home. 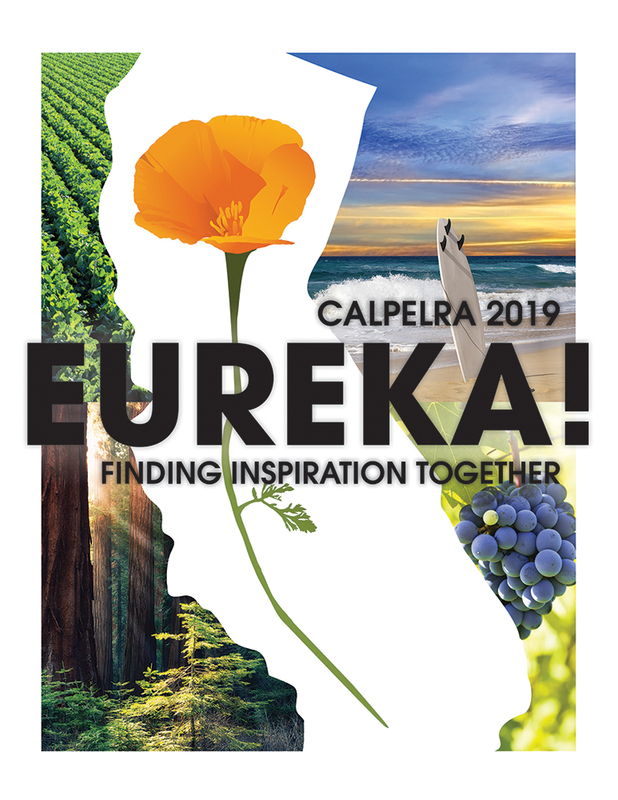 Don't wait to be a part of CALPELRA's 2019 Annual Conference, where together we will find Eureka! moments. CALPELRA's 2019 Annual Training Conference, the 44th annual CALPELRA conference, will be held the week of November 18 - 22, 2019. Registration fees include: All Conference general and concurrent sessions; all networking events (including Tuesday, Wednesday, and Thursday night receptions; Wednesday and Thursday lunches; Wednesday, Thursday, and Friday breakfasts, coffee, and breaks). The Thursday night reception is held at the amazing Monterey Bay Aquarium, and includes a full dinner, casino, dancing, and exclusive, CALPELRA-only access to the Aquarium exhibits. *Friends are not eligible for combined membership/Conference registration. Please see member definitions here. CALPELRA's free digital Conference guide will be available in late summer for your smart phone, tablet, or web browser. The Conference guide allows you to access the entire Conference program. Create your own personalized schedule of Conference sessions from your computer, and that schedule will appear on your smartphone and/or tablet. Create Conference to-do lists of the exhibitors and sponsors you want to visit at the Conference. Message other Conference participants from within the guide. Join in Conference-related conversations through the in-guide links to Twitter and Facebook. Access maps of the venue and area, evaluate sessions, and do much more through the guide. CALPELRA provides speakers’ handout materials on CALPELRA’s web site and through the Conference guide before, during, and after the Annual Conference, along with audio recordings of the sessions, for all Conference registrants. To download the handouts and listen to the audio recordings, you must sign into CALPELRA's web site with your user ID and password, provided to you in your e-mailed Conference registration confirmation. Note: CALPELRA does not provide a print station at the Annual Conference. CALPELRA will not refund Annual Conference registration fees for cancellations. Registration fees paid may be applied to another CALPELRA event or activity held within one year of the Conference for which the individual was registered; all requests for transfer of registration fees must be made in writing within 10 calendar days of the last day of the Annual Conference for which the individual was registered. Please note: Individuals employed by a union, a union-side law firm, or a union-side consulting firm that, in labor relations matters, exclusively represents unions and employees, may not register for CALPELRA's Annual Conference. Casual, comfortable clothing is encouraged. Please leave business attire behind. Jeans, sneakers, and sweaters are appropriate for this Conference. Join Conference Program Committee members for a short walking tour of the Conference venues before the Welcome Reception on Tuesday. The tour will depart from the AskMe sign just outside the Conference registration area. MCLE credit for California attorneys. SHRM certification for selected concurrent sessions. CALPELRA is recognized by SHRM to offer Professional Development Credits (PDCs) for the SHRM-CP or SHRM-SCP. HRCI certification for selected concurrent sessions. CALPELRA is an approved HRCI provider. CALPELRA's programs have met HRCI's criteria to be pre-approved for recertification credit; CALPELRA's use of HRCI's name/seal does not constitute HRCI's endorsement of the quality of the program. Conference sessions may be used toward IPMA-HR recertification. Family members, children, and/or guests are welcome to attend receptions. Tickets for the Wednesday and Thursday night receptions are only available through on-line registration, and will not be available on-site at the Conference. Tickets must be purchased before October 28, and tickets may only be purchased by paid Conference registrants. As you plan your stay in Monterey this November, visit See Monterey for information about Monterey-area attractions and activities. And visit the Monterey Peninsula dining guide for information about Monterey's restaurants. This Conference is accessible to people with disabilities. Please let us know of any specific requests that would make your experience more comfortable. CALPELRA will do whatever it can to reasonably accommodate special dietary requests or other needs. If you wish to discuss reasonable accommodations, please contact CALPELRA before the Conference at 925-400-6320.